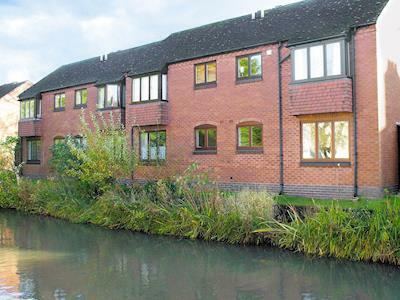 This small, ground floor studio apartment is situated on the banks of the picturesque canal in the very centre of Shakespeare’s Stratford-upon-Avon. The area offers a magical blend of heritage and drama in and around Shakespeare’s home town. 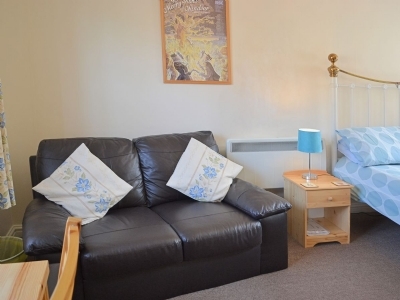 This is an ideal holiday base for anyone wishing to enjoy Stratford’s attractions. It is near to theatres including the worlds largest classical theatre company, shops and historic houses, exhibitions and great traditional markets. Open-topped buses offering conducted tours of the town leave from nearby, and boats may be hired at the local River Avon basin. The studio overlooks the narrow-boat moorings alongside a canal-side pub. A car is not required in Stratford, but there are plenty of interesting places to visit in the surrounding countryside. Shop and restaurant 200 yards, pub 50 yards. NSH, elec, bed linen and towels included. Freeview TV. DVD. Electric Cooker. Microwave. Shared lawned garden. Parking (1 car). Join the Stratford ghost walk — if you dare! Walk through the streets with 'witches and ghosts and things just not right'. Guides are members of Equity and are magical entertainers; a great evening awaits. Coventry Paintball Centre is strategically located in thick woodland providing the perfect base for a skirmish. The centre caters for those aged 8 and over and makes for the perfect day out of fun, adventure and excitement. It also caters to different abilities so if you are a complete beginner or a seasoned player you will have a fantastic experience. There are six exhilarating game zones, that each give different challenges and obstacles to overcome. In particular the Desert Storm map is so factual with its streets that are scattered with military vehicles, border checkpoints and a US Embassy building, it's as near to a real situation as you can get. Coventry Paintball Centre offers the ultimate paintball experience with friendly and helpful staff, full range of equipment, safety and operation briefings and realistic and exhilarating game zones, it offers the ultimate day of fun. Set in the grounds of Dudley Castle, the zoo is home to some of the world's biggest, rarest and most exotic animals — so lots to see. Quest is a fun and thrilling family entertainment venue that has a choice of activities to cater to all ages. They are located in the Intu Merry Hills shopping centre in Dudley. The activities available here are a Nerf Blaster Target Range, Nerf Combat Arena, Altitude High Ropes Course, Mini Golf, Sky Tykes and Yu Kids Adventure Soft Play, there is something to appeal to everyone. It is the ideal all weather venue and you can choose how long you spend here. They offer special discounts and combo deals so it is worth checking out their website before you go, although the prices are reasonable. 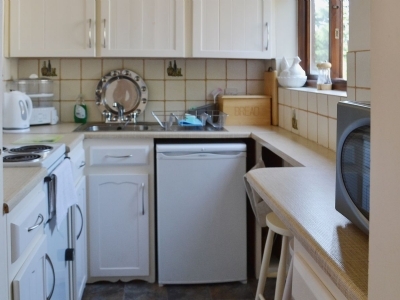 The premises are well maintained and the equipment is all in excellent condition. The staff are friendly and helpful and the coffee shop serves a good selection of refreshments where you can sit and relax while the children go play. Quest is a great day out for all the family and you are assured a brilliant time here. Planters Sky Trail is located in Planters Garden Centre in Tamworth. This high ropes trail offers a fun, thrilling and invigorating day out for all. The aim is to guide yourself along a two level, rope bridge and beam course, the further you go, the higher you go, it takes about half an hour to complete the course. It is a safe and fun environment and they provide all equipment needed. After a brief safety chat and introduction you are ready to strap yourself on and you are on your way. It is a great attraction that all the family can enjoy and is suitable for all abilities, and those over one metre tall. If you are less than 1.3 m tall then you have to be accompanied by an adult. They are open on various days throughout the years, full details are on the website. If there is adverse weather they will not operate. It is necessary to wear suitable shoes and comfortable clothing is best too.The staff are friendly, helpful and encouraging in getting you moving along. There is a nice cafe where you can sit and observe those taking part, if you are not brave enough. There is lots in the garden centre to entertain everyone too. Planters Sky Trail allows you to maybe overcome fears or apprehensions you might have about heights in a safe environment and you can feel proud of your achievement at the end. Excellent prices too and a great activity for all the family to get involved in, highly recommended. If you love more excitement with your holiday, then you need to stop by Adventure Sports LTD! This unique facility offers a wide range of fun things to do. Improve your archery skills, ride 4x4s, go quad bike trekking, participate in a round of paintball or scramble up the climbing wall. Leamington and County Golf Club has long been established as a premier golf club here in Warwickshire. It is not a particularly long course and is quite hilly, there are some beautiful holes and stunning views as you walk around. You will find the greens and fairways throughout the course to be in great condition, they are well maintained, and the bunkers are well stocked. The course itself is challenging but fair and will therefore, appeal to high and low handicaps. They extend a friendly welcome to all visitors and you are immediately made to feel at home here. The staff throughout are very friendly, professional and approachable and certainly make your visit more memorable. The clubhouse has a lovely ambience and enjoys nice views out over the 18th green, they serve a nice selection of dishes, that are well cooked and presented and offer great value for money too. The facilities throughout Leamington and County Golf Club are very good, the green fees offer great value for money so if you are in the region check out this lovely course you will not be disappointed. Quarry Park Disc Golf is a fairly new concept and a variation of the traditional game of golf, in that you have to get a Frisbee disc in a basket in as few tries as possible, there are 27 Innova Discatcher baskets on the course. As with regular golf there is a short course of 16 holes of 50m, or the regular course that is 18 holes of 90m. The facility is set on 15 acres of stunning countryside, the land has been especially designed for disc golf. Disc Golf is a fantastic sport for all ages and abilities, it allows you to get out in the fresh air, mingle and most importantly it is fun. The course here at Quarry Park has been built so that it can accommodate both beginners to the game and pros. What is also great about this game is that it can be done in groups, they can cater for groups of up to ten and you can just turn up and play, it is not necessary to book. To play disc golf you just need to turn up and visit the pro shop where you can hire/buy all the equipment needed, they have thousands of disc to choose from. You are given an instruction on how to hold and throw the disc, a map and scorecard and off you go. Quarry Park Disc Golf makes for a great fun day out and the staff here make the experience wonderful, they are so friendly and enthusiastic about the sport. It is very affordable and so much fun you will be left wanting to return to play again. If in Leamington don't miss this fantastic day out, you won't be disappointed. Redditch Golf Course can be found close to Berwick along this stunning stretch of coastline, it enjoys views of the North Sea. It has a long established reputation and is well known for its quality of playing surfaces and topography. This part parkland and part woodland course is well laid out and in superb condition, the fairways are tree lined and the greens are immaculate and are true and run fast. There are some challenges with very thick rough, lateral water hazards and riveted fairway bunkers. The course offers a good test of golf particularly the back nine so will cater to all handicaps. The clubhouse is modern and bright and very comfortable with a welcoming atmosphere, the menu is very good with a good selection of hot and cold dishes, food is tasty and very good value and customer service is excellent. Facilities are very good and the staff throughout are super, so friendly, helpful and professional, they really enhance your experience here. Redditch Golf Course is a really friendly club and with a quality course that gives a challenging but enjoyable round of golf, green fees that are great value it makes for a great club and one that should not be missed. Hoofin-About Horse Riding Holidays initially started pony trekking trips in Wales today, they have incorporated overseas excursions to Europe as well as snow riding in Austria in their itineraries. Whether you are an absolute beginner or an experienced rider they have a treks to accommodate all abilities. They can also cater to all size parties whether a sole rider or a large party. So wherever you fancy taking a pony trek on the beach, in the hills or through snow or visiting a horse show or fair; day, weekend or longer trek Hoofin-About have it covered. Whatever option you choose you are accompanied by a professional and engaging guide you will determine and set the pace. Hoofin-About Horse Riding Holidays offer a professional and friendly service and will try to accommodate all requirements where they can. Right in the heart of Warwickshire on the banks of the River Avon, Brandon Wood Golf Course offers superb range of golfing opportunities and challenges — 18 hole, par 72, each with its own unique character. F1K Indoor Go karting Birmingham is a fast adrenaline fuelled motorsport experience that is suitable for all from 8 years and over. Safety, professionalism and value for money can be found at this all weather indoor venue. Lea Marston Golf Course in Warwickshire is a premier course that provides two 9 hole golf courses. The Marston Lakes golf course is a parkland course that was made to USGA requirements and is a par 3 course. The result is a course that although short by current standards will still challenge all level of golfers with lots of hazards including, ponds, bunkers, trees and hedges, in fact you will probably not get through a game without using all of your clubs. There is also the Pitch and Putt Golf Course which again offers a great game of golf and is helpful for those wishing to improve their short game. You will find the staff throughout to friendly, professional and most helpful. The course is beautifully laid out and and in brilliant condition, the greens are fast and the fairways are lovely and green. The green fees offer great value for the quality of course and overall experience. After a tremendous effort to prevent development, the Moseley Bog is available today to offer a lush, green sanctuary for insects, animals and plants. Each spring, beautiful bluebells decorate the landscape while gnarled aged trees stand tall all year round. This important natural space was a favourite childhood play area for the hugely famous Lord of the Rings author, J.R.R. Tolkien. Sutton Park National Nature Reserve offers an escape from the bustle of Birmingham City, being just six miles away, it is like having a piece of the countryside on your doorstep and is a very popular attraction to both locals and visitors to the area. This 2,000 acre national nature reserve is a vast historic landscape and consists of open heathland, woodlands, wetlands, marshes and seven lakes and the scenery is simply stunning and can be easily seen and enjoyed as you walk along the many dedicated pathways. 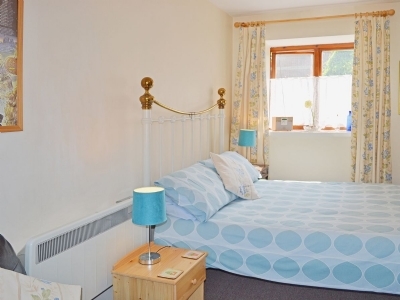 Whilst here you can enjoy some off the many attractions on offer like walking, jogging, angling, watching the local nature, orienteering, two play areas, cycling. In addition it serves as a grazed landscape where cattle and wild ponies wander freely and graze. The lakes are home to ducks, geese and swans who the children love to feed. The park is very well maintained by the rangers who can also assist you with any queries you have. The reserve is also home to a Donkey Sanctuary, where you can meet the donkeys. There are places to stop for refreshments with a choice of cafe and restaurant here, both serving hot and cold food and drinks. Sutton Park National Nature Reserve is a great day out for the whole as there is so much on offer here, there are activities to appeal and entertain everyone. It offers the perfect opportunity to escape city life and relax in beautiful surroundings. The Hill Close Gardens in Warwick are a rare and hidden treasure that offers breathtaking scenery to those who venture there. This area was once utilised by the townsfolk who lived above their business to get away from the crowded town. See how the former owners carefully designed and tended the plots to create a green haven all their own. Jephson Gardens is a stunning oasis in the heart of Leamington Spa, it is a haven of peace and tranquillity and a welcome retreat for both locals and visitors to the area. These Victorian gardens can be dated back to 1831 and today are Grade II listed on the English Heritage register. The gardens and planting here are immaculate, and they are so well maintained. Throughout the year the floral displays are so vibrant and the aromas that waft through the air are delicious. In addition to the stunning planting, there are lots more to enjoy including, the Glasshouse that has an impressive selection of tropical plants and a goldfish pond. The Restaurant in the Park is open for lunches and dinner and serves a good selection of hot and cold dishes, that are tasty and good value for money. There is also a cafe where you can stop for some light refreshments. It is interesting to read the memorials to past citizens to the town and also take time to see the various carvings around the gardens, they are quite intriguing. The lake has benches placed around it where you can watch the ducks and geese or just sit back in relax in the lovely tranquil surroundings. There is a play area in the Mill Gardens where, children can have hours of enjoyment in the sand pit and playing on the swings, slides and climbing frames. It is also nice to take a relaxing riverside walk, or go boating on the River Leam, the boat centre is located in the Mill Gardens. With lots of gentle walks and lots to see and do Jephson Gardens offer a lovely day out for everyone. Baddesley Clinton is an idyllic medieval moated manor house and gorgeous garden. The house has withstood many centuries, serving as the Ferrer family home for 500 years. Visitor can explore the interior, which features Elizabethian era decor and furnishings. The outdoor garden is just as captivating with stewponds, romantic lakes and a nature walk. Project Kingfisher officially became Kingfisher County Park in 2004. This 11 km expanse runs along the River Cole from Coventry Road to Chelmsley Wood. The project was aimed at caring for the river and its surrounding natural enviornment. Today the valley includes a variety of animals and plants with formal areas that are open to the public. Lickey Hills county Park in Birmingham is a lush natural area that provides breathtaking views and a place to enjoy fresh air and the outdoors. Visitors can explore the park, which includes a variety of terrain. Numerous events are hosted throughout the year so each visit is unique and memorable! Sheldon County Park spans a spacious 300 acre property that includes grasslands, old hedgerows, wetlands and mature woodlands. Located right at the city's edge, this location is a popular escape for travellers and residents. See the historic 17th century dairy farm which currently serves as the Park Ranger Service headquarters. Moseley Park and Pool can be found just two miles from the centre of Birmingham. This beautiful greenscape has remained unchanged for over a century. A total of 11 verdant acres offer tranquil parkland and a gorgeous lake that is thriving with fish. Enjoy fresh air, lovely scenery and a chance to escape the bustle of the city by visiting Moseley Park! Coombe Country Park offers its visitors 500 acres of stunning gardens, woodlands, lakeside walks, fishing and bird watching. It is the ideal venue for a fun family day out offering plenty of areas to explore and enjoy and picnic areas. In addition there is a visitor centre, discovery centre and history room located in the grounds as well as a gift shop and Herons cafe. The formal gardens are stunning when in full bloom. The pathways and walkways are easily accessible by all, with wheelchairs available to hire at a charge. The park is open daily all through the year and there is plenty of parking available, parking charges do apply. Martineau Gardens continues to inspire visitors to learn more about the natural environment. The property contains many organic treasures, including an orchard that grows figs, grapes, apples and mulberries. See vegetable and herb beds, the nature trail and formal garden with its unique shrubs and trees. A children's play area is available for younger guests. New Hall Valley Country Park can be found between Wylde Green and Walmley. This beautiful green space was established in 2005 and includes 160 lush acres. The region encompasses wetland grazing meadows, ancient woodlands and former farmland. Foot paths and cycle routes are available as well as a nature conservation site, plant nursery and two playgrounds for children. The Loft Theater has had a long standing of producing live theatre in Leamington Spa, and caters to the local and surrounding areas. Managed by a team who are predominantly volunteers, they strive to bring professional standards to all their community based theatre as well as a diverse programme of events. Annually they produce about 9 shows for the main auditorium and less for the smaller Douglas Ford studio theatre. They engage in all aspects of theatrical styles from classic to modern, tragedy to comedy and musical theatre. Everyone will find a production here that will appeal to them. This intimate theatre is a bit dated but it has a welcoming and casual atmosphere and there is a theatre bar where you can enjoy a drink throughout and after the show. Regardless of where you sit you are afforded great views of the stage and the sound is very good . Such is the high standard of productions and acting that you will forget that you are watching an amateur production! Tickets are reasonably priced so check to see what productions are coming and see what amazing local talent there is. Sit back, relax and enjoy the U.K. behind the wheel of a classic car! The Open Road Day Drives provides visitors with the unique opportunity to hire a classic car in many popular styles, including Ford Mustang Convertibles, Jaguar MK II, Jaguar XK8, Morris Minor Convertibles, MGB Roasters, Jaguar E-Types, Triumph Stags and many more! Potter In is a craft studio where customers come along to have fun and get creative in this art and craft shop. The shop is ideally situated in the centre of Leamington Spa town. Customers can choose from a number of activities, such as pottery painting, decopatching, jewellery making and mosaicing. They offer a service of making a special souvenir of your baby made either in a clay imprint, 3D impression of its hands or feet and silver personalised jewellery. The staff are lovely, friendly, professional and helpful, and at hand if you require any assistance. There is a lovely relaxed ambience and they serve coffee, fairtrade tea and squash. Potter In is a great place to find your artistic side, you can get creative and be amazed at your final result, lots of pieces to choose from. It is a great activity for all ages and is great fun as a party for children or adults. Imagination Street is an indoor childrens play centre that offers a safe and fun environment. 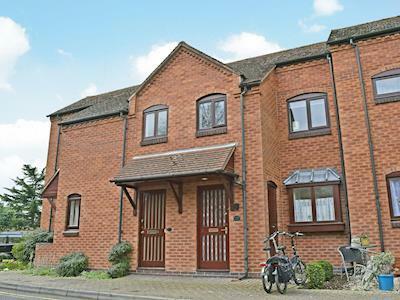 They are located in Bromsgrove, in a modern, bright and airy building. There is lots for younger visitors to enjoy here with a fabulous play frame complete with a huge slide, zip wires and ball pools, there is also a baby sensory room, interactive football zone, imagination zone, Playstation and library room, dressing up as well as a formula one race track, it is crammed full of fun things to do. There is a nice coffee shop that serves a good selection of beverages, snacks and hot and cold dishes that are tasty and well priced. With lots of seating in comfy leather sofas you can relax and observe as the children play. It is well maintained and spotlessly clean. Staff are friendly and very helpful. The centre is open daily and is open from 10am to 6pm Monday to Friday and from 10.30am to 5.30pm on Sundays and Bank Holidays. Imagination Street offers children ample space to run around and lots to engage them during a visit, prices are very reasonable and the facilities are very good and well looked after with friendly staff, great for young families. The Palace Theatre has a long history as a cultural and entertainment centre in Redditch, and continues to serve that purpose. It is a purpose built theatre building and was originally described as a miniature opera house with all modern facilities. Today it is a significant historic building, still retaining its original decor, charm and beauty. They host a full, diverse and interesting range of professional productions and top acts that include comedy, drama, dancing, concerts, tribute acts, plays and much more. This intimate theatre has all modern conveniences and technology, the sound and lighting is excellent and seating is comfortable and offers excellent views of the stage. The bar area is lively and bustling, it can get busy, there is a good choice of beverages and snacks. Staff are friendly and helpful and the theatre has a lovely friendly and welcoming atmosphere. It is possible to take a tour of this lovely historic building where you will be introduced to the architecture of the well known designer Bertie Crewe, told the history of the building and how it is run today. Tours are both interesting and informative and it is necessary to book them in advance. Palace Theatre is a real gem offering a fabulous choice of productions in a lovely venue with a great atmosphere, ticket prices are very reasonable and you are assured a fantastic night out. Should not be missed if you are in the area. Warwick Arts Centre is an integral part of the university and wider community. This stunning building has a theatre, studio theatre, conference room, music centre, practise rooms, bookshop and bars. It is a busy venue and hosts in excess of 2300 events and performances a year of music, drama, dance, mime, comedy, film, visual arts and literature. Films are shown throughout the year, other events are generally shown during the three University terms. The bookshop has a large stock of books that cater to everyone, and even has a children's section. The Mead Gallery is a vast and beautiful designated contemporary art gallery that displays a highly respected catalogue of international and contemporary art. When it comes to eating or drinking on the premises there are plenty of choices with two bars and Le Gusta Oven and Bar that serves a selection of pizzas, tapas and favourites such as Bangers and Mash. Warwick Arts Centre is a centre of excellence for the arts and definitely worth a visit, check to see what is taking place here. The Midland Air Museum is a great example of how a passion and commitment can evolve into something great. From small beginnings the Midland Air Museum has grown into a highly regarded aviation museum. Housed in the Sir Frank Whittle Jet Heritage Centre to the north of Coventry Airport, you will find a large collection of aviation memorabilia, from books, videos, photos, artefacts and aircraft parts to a collection of fighter planes that have all been carefully restored, all there to tell the story of jet aviation. During your visit you can get up close to these aircraft with many of the cockpits and engines on display and staff available to answer any questions you might have. The Midland Air Museum is interesting and informative for all ages and has a gift shop and the Argosy Tea Room that provides a menu of light snacks and refreshments for your enjoyment. War Memorial Park is a popular attraction for locals and visitors and as well as having a number of permanent features it also hosts numerous special events during the year. The permanent features within the park include playing fields, formal gardens, walkways, a pitch and putt golf course, tennis courts, football pitches, bowling greens, putting green, skate park, aviary and the popular children's playground as well as a splash n' play water feature that is only open during the summer months. In addition there are two cafes that offer a place to sit and watch all the activity going on whilst enjoying a coffee, toilets and showers. The park is open all year round for its patrons enjoyment. Some of the special events that take place here are charity runs and cycles, as well as the regular and popular family festival. War Memorial Park offer fun and activities to all ages and abilities, a great free fun day out in Coventry. Flight Simulators Midlands offers you the opportunity to fulfil a dream of flying an airplane, or as close as many of use will get. These simulators are as authentic as you can get to the real thing, and included are a 737simjet, 747simjet and A320simjet. You receive instructions from fully qualified and friendly pilots with years of flying experience and airtime, who will immediately put you at ease. They will guide you through what is involved and offer instructions on the operation of the simulators. You can choose where to fly with a variety of destinations available from the Far East to Europe. There is a hospitality where you can relax before or after your flight and savour the experience. If you have always wanted to fly a plane this is your opportunity, come visit the professional and friendly staff at Flight Simulators Midlands. The Criterion Theatre is a real part of the community, it is a small theatre that is privately owned by its members. During the year they showcase eight house productions, one of these is by the Youth Group. In addition there are appearances from other theatre groups and folk concerts. They also operate workshops for both seasoned and amateur members and on a Saturday morning they run drama classes for junior members. On production nights the theatre bar is open to all and it is a nice area to relax in. The theatre also operates other events for the community such as regular coffee mornings, exhibitions by local artists, and an annual Christmas Carol evening. Come and see the talent for yourself at the Criterion Theatre and enjoy the show. Belgrade Theatre has had a long standing in Coventry but the building we see today was the result of extensive refurbishment in 2007, and it is now a much improved and major part of the community and wider area. The philosophy here is that through the experience of theatre you change and enrich peoples lives. They strive to be one of the foremost progressive producing theatres in the country and to provide a exhilarating combination of entertaining and alluring live experiences within the confines of the building. The Belgrade Theatre has a full and varied schedule that includes produced, visiting and community work. With the Belgrade Cafe Bar and B4 Grill they are plenty of choices for dining and the prices are reasonable and the atmosphere is jovial and relaxed. Belgrade Theatre is a great choice for a night of entertainment. The Hall Little Green Theatre was established in 1950 by a group of bold and ambitious theatre enthusiasts. After much effort and fundraising, the project commenced, although it wasn't without its challenges. Today the theatre serves as a beloved part of the local community. Guests can stop by and see a great performance with many productions scheduled throughout the year. Wheatsheaf Players is an amateur theatre company that has been operating and entertaining the people of Coventry and further afield for more than 80 years. They stage a number of shows during the year as well as a youth group production, members put their heart and soul into each production to ensure a professional and enjoyable performance. In addition they run fun nights at the theatre including quiz nights where everyone is invited to come along. If you are looking for a night of fun and entertainment check the Website to see when their next production is on. The Balti Restaurant Association strives to maintain a high standard in dining and food preparation. The facility can be found a mere 20 minutes from the city centre via bus. Visitors will love this unique shopping opportunity, which includes a variety of food outlets that sell hardware, Balti bowls, cooking utensils and Asian artefacts. Teamworks Karting in Birmingham offers a fast-paced way to spend an afternoon! Get behind the wheel and show your skills by manoeuvring a slick kart around challenging lengths of track. Sessions are available for adults as well as children 16 years of age and under.Experience the United Kingdom's "finest kart circuit" during your next holiday! The Birmingham Hippodrome offers an eclectic selection of fine entertainment for the whole family! See classics like Snow White and the Seven Dwarves or enjoy a breathtaking performance of the Welsh National Opera. The venue also offers a deli bar, private dining options and the Circle restaurant which boasts modern fare and a generous wine list. The Birmingham Royal Ballet offers a variety of high class performances for those who love classic entertainment. Many beloved shows are put on, including well-known tales like the Nutcracker. A full list of upcoming performances is available by season. Enjoy an engaging story spun by superb performers and enchanting music! The Electric Birmingham is the oldest operating cinema in the United Kingdom. It is located in a lovely retro building and showcases new releases, independent films, intelligent mainstream films and more. It is a small and intimate venue and creates a feel of what it was like in the golden age of film going. The theatre is fully licenced to serve alcohol and they have sofas and a waiter service available. A visit to the Electric Birmingham provides grown up entertainment in a casual and relaxing environment and a different perspective on todays cinema experience. Grosvenor G Casino in Birmingham offers an excellent opportunity for fun, excitement and a bit of leisure time. The facility includes a high quality restaurant, bar and sports and entertainment lounge. Play roulette, blackjack, poker and slots then take a break with a bite to eat or a refreshing beverage! Curzon Street Station originally served as the London and Birmingham Railway terminus. It was constructed in 1838 by Philip Hardwick, the man behind the original Euston Station. The Curzon Street Station has survived many years as well as the potability of demolition. It remains as one of the greatest and most historically important buildings in the city. Broadway Casino offers a comfortable setting and many exciting games that will make your holiday as thrilling as possible! Feel the excitement of the win while playing roulette, blackjack, slots, there card poker or Punto Banco. The venue also includes the Mirage Restaurant which features a fusion menu full of colourful delights! If you want high quality entertainment, the Symphony Hall is your best bet. This beautiful venue hosts a wide range of performances each year. Come see concerts featuring jazz, blues, folk and world music or stay for a stunning stage performance. Comedy, spoken word, dance and family-friendly productions are all found on the Symphony Hall schedule. The International Convention Centre is a top-notch venue that hosts approximately 500 events annually. The building is made to high standards to offer the best event space imaginable. Gatherings of all sizes are accommodated with flexibility that allows each occasion to be completely unique from the rest. Travellers should contact the ICC to inquire about scheduling, availability and more. Add adrenaline to your holiday by booking a session with the Allstars Driving Academy! This fast-paced attraction invites you to learn how to drive like a pro. Full driver training programmes are offered with custom packages that are tailored to the needs of the client. The academy maintains a fleet of gymkhana, drift and rally cars that are always ready to go! Tunnel Brewery are based at Red House Farm, in Ansley, a lovely part of the country. It is a micro-brewery that produces a good range of craft beers and ales and has a loyal following. They run an excellent brewery tour that takes you through the history of the brewery and then advises on the complete brewing process from picking the quality raw materials from local sources through to the mashing room, then fermentation and the end product, where you get to sample a selection of their beers accompanied by some nice nibbles, that complement the various strengths of beer available. They continue to use traditional brewing methods. It is necessary to book a tour in advance, they are reasonably priced and last about two hours. Mike the guide is very friendly and knowledgeable and the tours are very interesting and entertaining and were pitched at just the right level, with lots of humour. There is the opportunity to buy their lovely beers as well as a selection of cheeses, great value and make lovely gifts for any beer lover. Tunnel Brewery is a lovely friendly brewery that produces a great range of craft beers and ales and the tour is excellent and certainly worth doing and great value for money too, highly recommended. Echills Wood Railway is a 7 1/4" gauge track, that operates both steam and diesel locomotives, it is located at Kingsbury Water Park. The railway is open every Sunday from 11.00am to about 15.30pm, the hours can be longer in the summer months. The running of the trains is dependent on weather conditions. The fares are very reasonable, a single ticket is £1 and the length of the journey is 1km and lasts about 7 minutes, a return journey is £2 and the ride is 2 kilometres and takes about 15-20 minutes. The train ride is excellent fun, you go over bridges and through tunnels and there are even audio signals. Take time to visit the Station Masters Garden Railway which, is located at the rear of the main Harvesters station on EWR. The railway runs on most normal operating days, using a range of models powered by either battery or live steam on a 32mm gauge track. You can take the opportunity to drive your own model train here but, need to arrange in advance with EWR. Echills Wood Railway operate a number of different events throughout the year with Santa specials and Halloween events, they are very popular and do get busy so need to be booked well in advance. The smell of the steam and sounds of the locomotives is very comforting and nostalgic. Echills Wood Railway is a fun activity that everyone can enjoy and so reasonable too, the ride is thoroughly enjoyable, highly recommended. The Crew is located in Nuneaton, Warwickshire. It is a true rock bar, the walls are full with signed rock memorabilia and has many genuine pieces of rock history including a signed Oasis guitar. It is a vibrant and energetic bar and always has something happening whether it is karaoke, jam nights, live music or a rock DJ on the decks. It is extremely popular owing to the fantastic range and quality of acts they have on the stage and has an electric atmosphere. The staff are excellent, friendly and efficient you are never waiting long for a drink. Drinks are well priced too. They are open daily with a late bar on Friday and Saturday nights. There is a gift shop selling "Crew" merchandise. Church End Brewery is located in a renovated social club close to the town of Nuneaton in Warwickshire. It started business with the principle to make a diverse choice of cask conditioned beers, using good quality raw materials and absolutely no processed sugars. Using this formula the first brew was produced on 1 August 1994 and they have continued using this principle to date. They now have more than forty unmistakable products ranging from Fruit Beers made with real fruits to Honey Beers produced with real homey and many more unique and individual beers. Needless to say output has also increased greatly as the popularity of these brews has grown and they have won many awards over the years. These brews can be enjoyed in the pleasant surroundings of The Tap Room or The Vestry where you can enjoy the vibrant atmosphere whilst sampling your favourite brew why not complement it with some locally sourced cheeses or a pork pie, alternatively you can take along you own food as long as it is not hot or strong smelling. They offer tours of the facilities where you can see first hand the brewing process from selection of the quality ingredients through to the final product. Tours operate during normal working hours and have to be booked in advance, they generally take place on a Thursday, Friday, Saturday and Sunday. Tours can be booked together with a meal option which offers excellent value for money. Details are on the website. The guides are friendly, witty and welcoming and very knowledgeable and impart information at just the right level to make it interesting and retain your attention throughout. At the end of the tour you get to sample a good selection of their craft beers. Church End Brewery is the perfect place to come if you are a beer fan, a fantastic diverse selection of brews in a lovely friendly and relaxed environment as well as a wonderful beer garden if it is a pleasant day, could not fault it. Kingsbury Water Park is a first class water attraction in Warwickshire, it is located in 600 acres of country park and contains 15 lakes. The park is open everyday except Christmas day and there is no charge for entry but, the car park does charge a nominal fee and you will need to have cash to pay as they do not accept cards. The park offers a place of peace and tranquillity away from the bustle of the town where you can enjoy this piece of glorious countryside. As you walk along the pathways, watch out for the local birds and wildlife, hire a bike or take along your own and enjoy the many attractions here. Children will love exploring the park and all the space they have to run around, as well as the adventure playground, children's farm and the miniature railways. Take along a picnic which, you can eat at one of the many picnic areas, or there is a cafe that serves a good selection of beverages and light refreshments. Activities you can enjoy on the lakes include fishing, pedal boats, power boats, sailing and jet bikes as well as sailing your own model boats. Unfortunately, you cannot swim or paddle in the lakes and also barbecues are not allowed in the park. The information centre has everything you need to know about the park and the activities here. The gift shop has a nice choice of gifts, toys, books and souvenirs available that are also value for money. There are camp and caravan sites available for those that wish to spend some time here enjoying the facilities. Kingsbury Water Park is the ideal day out for the whole family with so much to see and do here, everyone will be entertained and a fun day out for all will be had. NPF Bassetts Pole Paintball offers a host of activities in a safe, friendly and professional environment. Before you take part in any activity you are given a full safety briefing, you are then free to have a fun and exciting day. Situated in 200 acres of natural woodland you have the perfect environment for a paintball war, with lots of natural coverage and hiding places and lots of authentic props to ensure an exciting and exhilarating experience. The paintball equipment here is in good condition and they supply all the items that you will need however, you have the option to upgrade your equipment and gun, as well as buying additional forms of ammunition like, smoke bombs, grenades and flash bangs. Those aged over 8 can get involved in mini paintballing. In addition to paintballing they also offer Super Hero Wrestling, don your suit and head gear and gather your inflatable's and set out for a load of laughs and fun, as you try to bop your opponent. Try out the inflatable assault course or test your stamina and balance on the Rocca Rolla, will you be the victor. You have to be aged 8 and older to enjoy these activities. If you don't like the idea of getting bruised and bumped in paintballing then one of these activities could be for you. The staff here are brilliant so friendly and helpful in explaining things and ensuring you have a great day out. There is a cafe onsite that serves a selection of beverages and light meals and snacks. There is so much on offer at NPF Bassetts Pole Paintball that the difficulty will be choosing an activity. All activities are reasonably priced and great value for money. Dudley Canal Trust Trips offer frequent guided boat trips through the impressive network of tunnels that were built to transport the raw materials that were so important to the industrial revolution that transpired here back in the 1830's. Your guided tour will involve videos, lifelike reconstructions and amazing music and light shows. The trip takes about 45 minutes and is interesting and informative and the guides are brilliant so, enthusiastic, entertaining and knowledgeable, they make the whole experience first class. There are other tours that are longer and cover other canals that you can take, they are popular and book up so will need to book in advance if interested. You will not be able to comprehend that this network of tunnels runs under Dudley town it is quite remarkable. Dudley Canal Trust Trips are brilliant and should not be missed if you are in the area, you will not be disappointed by the experience. The Big Play Barn is located in Middleton, near Tamworth, it offers a a safe and friendly environment for children to play in. It consists of a large play area that has slides, ball pits, rope bridges and much more. Outside the fun continues with a giant outdoor pillow, water zorbing and giant inflatable obstacle course obviously these are dependent on the weather. Often there are activities taking place that the children can get involved in. There is plenty of seating available both inside and outside where you can sit and observe. The venue is clean and well maintained and the facilities are excellent. Staff are very friendly and helpful. The cafe is welcoming and has a nice selection of freshly made home cooked light lunches and hot and cold dishes as well as cakes and ice creams. They are open daily from 9.30am to 6.30pm and prices are very reasonable. It is very popular so can get busy but still offers plenty of opportunity for the children to run around and have fun. The Big Play Barn is a great family attraction whatever the weather, children can let off steam in a safe and fun environment whilst you relax with a coffee. Highly recommended a great friendly attraction with loads on offer to keep children entertained. Artifex is a lovely gallery that has the best in modern British art and craft, and has a lovely warm and welcoming atmosphere. The staff are extremely friendly, very professional and knowledgeable and happy to help in any way they can. The 3,000 square foot gallery is packed with handcrafted jewellery, ceramics, sculpture, furniture, metalwork, woodwork and contemporary art pieces. Artifex is different in that you will only find unique pieces that are of high quality available here. The first floor gallery is committed to paintings, they are all originals and at anytime you will find 18 artists works on show in the gallery. In addition they run exhibitions of one person shows that feature a number of their works. The furniture gallery concentrates in 'one-off' modern pieces that are manufactured by Britian's premier furniture makers. You can commission your own individual piece or select from the large selection of items on display. Artifex is open every day and should be visited if you are in the area, you might find an unusual and unique item to take home or just enjoy the delightful pieces that are on show. There are five Shakespeare houses, and they are all excellent destinations for children as well as for educational groups of all ages. Accompanying lectures are also available — particularly useful if you are currently studying Shakespeare. However, if you're not a student, just a fan of the work, these houses are well worth a visit! Enjoy both history and nature by visiting Charlecote Park. This fascinating landmark includes a spectacular Tudor house which was home to the Lucy family as far back as the 12th century. Learn about the life and times through stories, portraits and a collection of beautiful items gathered from all over the globe. The Lord Leycester Hospital is the "crown of Warwick historic buildings." This handsome and sprawling facility was a charitable institution for the housing and care of the needy, aged and infirm. Despite the name, it was never actually a medical establishment. Today the landmark still stands as a beautiful example of a timbre framed buildings that date back to the 14th century. The Collegiate Church of St. Mary in Warwick is a working church found near the centre of town. The building has been welcoming the faithful for more than 1,000 years, providing a place for reflection and celebration of God. It is among the largest of England's churches. Events are hosted throughout the year. St. John's House Museum is an important historic landmark that is found inside a Jacobean mansion. The exhibits focus on social history with a Victorian kitchen and school room. The school room is utilised for children's educational activities. Visitors can also explore toys, games, costumes and other childhood-related artefacts. Elegant formal gardens are found outside while the Royal Warwickshire Regiment of Fusiliers Museum is open on the first floor. The Electric Railway Museum is a charity run attraction with the purpose of bolstering the heritage of all electric trains in the United Kingdom, all staff are volunteers who have a real interest in this area. This promotion is achieved by traction and rolling stock renovation, display and operation together with efforts in collating historically pertinent technical and photographic archives. On site here is the biggest collection of conserved electric trains in the United Kingdom, they comprise of industrial, electric locomotives, surburban multiple units, Edwardian underground train carriage bodies to high speed express trains. During your visit you will find all about the impact the railways have had on the growth and development of the country through the rich collection of exhibits. A new attraction to the site is a 7 1/4 inch gauge miniature railway that offers rides to all visitors. St Mary's Guildhall is probably the best example of a medieval guildhall in the United Kingdom, it is almost 700 years old and has many a story to tell. When you step into this building you will be struck by the stunning medieval interiors and fine artworks that provide a glimpse into Coventry's splendid past. Many famous people have walked through these doors including Mary, Queen of Scots and Shakespeare. Entrance to the Guildhall is free and is open seasonally from March to October. As you stroll through the rooms of this glorious building you will see many artefacts and collections including, arms and armour, furniture and artworks. The friendly and experienced guides will narrate the history and story's of the building as you walk around. The prominent attraction here is the glorious Great Hall, it has medieval stained glass, a ceiling of carved angels in addition to the rarest and most valuable tapestry in the country, this vast piece takes over a complete wall. After your visit why not take time to stop at the popular Godiva's cafe for a coffee and snack in the stunning vaulted undercroft. St Mary's Guildhall offers a fascinating and interesting insight into a different era and is a thoroughly enjoyable experience. Holy Trinity Church has a long history extending to almost one thousand years, it is amazing that due to the huge efforts of Rev Graham Clitheroe that it survived the relentless bombings of 14 November 1940. The church is open daily to the public for those who wish to enter to pray and for solace, many people visit this historic building to appreciate the architecture and artefacts such as the font and pulpit, and the Bishop's Bible that can be dated to 1568. The renowned mediaeval painting of the Last Judgement is a large attraction as are the beautiful stained glass windows. The Holy Trinity is an important landmark in the city and is an important part of the community. Coventry Cathedral as it stands today was constructed in 1962 but the city has had three Cathedrals in the past 1,000 years. The Cathedral is an integral part of community prayer and worship and welcomes many people through its doors. It is popular with visitors who come to learn about the buildings history, its art treasures and architecture. If you are interested in finding out about the history of the Cathedral guided tours are available. Other attractions here include the Cathedral Tower Climb, from here you will get fantastic vistas of Coventry or the Blitz Experience Museum, located down in the ruins, it has five 1940's room reconstruct ions, please be aware these rooms are only open April to September on Wednesdays and Saturdays only. In the Benedicts refectory you can avail of refreshments. Coventry Transport Museum is a truly interesting and fascinating day out, so if you are looking for a free family fun day out then this is definitely the place to go. Covering all aspects of the growth and development of transport from roads, bicycles to cars and much more, it spans a period of 150 years. A popular attraction here is the ThrustSSV which holds the record for the fastest land speed, if you want a feel of what it is like to drive at an incredible speed you can have a go in the World Land Speed Record Simulator, there is a small charge per person. There are more than 240 cars on show, commercial vehicles and buses, 94 motorcycles, 200 cycles, 25,000 models and approximately 1 million items of memorabilia, all housed in 14 exhibition galleries. With so much to see and do the museum has compiled a list of 20 items you must see on your visit known as the Star Vehicles, they will be marked as you go through the museum. For a small charge per person they operate guided tours that last approximately 1 hour ideal for those restricted for time, you are then free to explore at your own leisure. There is so much to see and do at Coventry Transport Museum, it will keep everyone entertained. Travellers of all ages will love exploring the mechanical treasures found at the Transport Museum! This fascinating facility offers an up close look at transportation and how it has evolved. Visitors can see three large display halls with more than 90 buses as well as interpretive displays, video presentations and the Kids Kabin activity area. The Winterbourne House and Garden is a rare treasure because it is one of the few surviving examples of handsome suburban villa and garden design from the early 20th century. The house was constructed for John and Margaret Nettlefold in 1903. Today it serves as a beautiful landmark as well as a venue for an array of events and exhibits. The Barber Institute of Fine Arts promotes the study of art and music for both the University of Birmingham and the general public. This exciting landmark can be found in one of the most exquisite Art Deco buildings in the area, which was originally constructed and opened in 1939 by Queen Mary. Digbeth Tuck Trail starts on Great Barr Street, overlooking the canal system. The route encompasses a number of interesting landmarks, including the former Bird's custard factory along High Street and the Typhoo Tea Factory once found on Bordesley Street. Discover the heritage and history of this captivating area by walking the Digbeth Tuck Trail! See the world's first cast iron bridge! This majestic landmark has been attracting visitors for centuries and continues to fascinate travellers with its sturdy architecture and historic importance. The original Tollhouse contains an engaging exhibition that discusses the bridge's past as well as how it has managed to remain standing for so long. The Birmingham Back to Backs create historic atmosphere that allow visitors to see what life was like for the average person in Birmingham long ago. This unique attraction is only available through a guided tour, so travellers should plan accordingly before stopping by. See the city's oldest surviving court of "back to backs", or houses that were constructed around a communal courtyard. St. Mary's Church welcomes travellers to stop by for worship and reflection. Regular services are held with morning, evening and night prayers. Families will love the Mini-Mary's Sunday Gospel which is designed specifically for children. Meet the community and celebrate the glory of God during your stay in Birmingham, England! St. Martin in the Bull Ring is a beautiful church that's rich in history and design. This building is among the most ancient in Birmingham. It was constructed in 1873 utilising gothic Victorian architecture. The church continues to help nurture and grow the local Christian community. Visitors can come to worship, see the church or participate in one of the many events hosted throughout the year. The Old Rep Theatre is the perfect place to take in a show. The venue hosts the Birmingham Stage Company and offers seating for up to 383 guests. Amateur companies also perform on the Old Rep stage. A variety of genres are covered, including musicals, drama, plays and holiday themed productions. Gas Street Basin is a canal basin located at the heart of Birmingham. 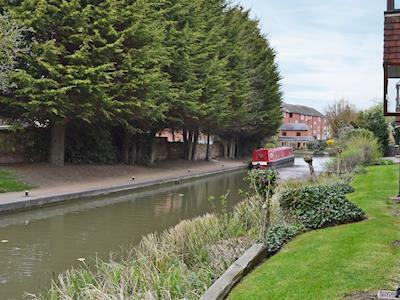 Originally named the Birmingham Canal, this landmark was constructed in 1773. The location was featured in the film Take Me High by Cliff Richard. A cottage sitting along one side of the canal was also used as the home of a character in the famous Crossroads soap opera. The Hall of Memory opened in 1925 to serve as a memorial to the Birmingham men and women who sacrificed everything during World War I, World War II and conflicts since then. The lifelike figures remain a testament to the memory and spirit of those who fought hard to protect their homeland. Take a seat in the Adrian Boult Hall! This spacious venue can seat up to 520 guests. The building is designed for superb acoustics that enhance the performances of a symphony orchestra. Enjoy great music, welcoming atmosphere and a beverage or snack purchased at the on-site bar and coffee area. The Town Hall can be found right in the heart of bustling Birmingham. The handsome building is surrounded in majestic columns, setting the tone for each visit. An on-site coffee bar is available and champagne hampers are offered during production intervals. Travellers should check with staff to find out who will be performing during their stay in Birmingham! Fans of Lord of the Rings and fantasy in general will love taking a stroll along the whimsical Tolkien Trail. Embark on an exciting journey that covers many aspects of the books and author. See the places that inspired some of the world's most beloved heroes and villains, from Gandalf the Grey, Aragorn, Bilbo and Frodo to Saurmon, Grima, Gollum and the Nazgul. The Birmingham Museums and Art Gallery is the perfect place to expand knowledge and learn more about society and the past. The extensive collections date as far back as 200,000 years ago. Many key milestones are covered all the way up to present day. See one of the finest pre-Raphaelite art as well as exhibits focused on ethnography, archaeology, social history and much more! Industry and Genius are more than positive qualities in a person, they also describe the unique sculptural tribute erected in honour of John Baskerville. Located between the Baskerville House and Hall of Memory, this handsome landmark is made of Portland stone with reversed bronze letters on top that spell "Virgil" in the popular typeface of his namesake. Birmingham's Crescent Theatre is among the oldest of its kind in the area. Approximately 250 cast and crew belong to the theatre and put together 15 or more productions each year. The main house offers seating for over 300 while the studio theatre can accommodate over 100. Costume, furniture and prop hire is also available. The Shakespeare Express offers a unique way to travel! Climb aboard and experience traditional travel with many amenities. Premier Dining options are available with a full English breakfast or delicious 3 course roast luncheon (depending on the time of day). High Tea is also served on board along with a generous selection of wine, alcoholic beverages and soft drinks. St. Chad's Cathedral describes itself as the "hidden jewel on the edge of the jewellery quarter." The beautiful architecture and decor make this description accurate. Religious pilgrims, curious travellers and history buffs should see this beautiful landmark, which was constructed between 1839 and 1841. The church currently contains unique relics, including a small box of St. Chad's bones. The Birmingham and Midland Institute was founded in 1854 by the Act of Parliament. This historic building is an important resource for art, science and literature. Visitors can participate in educational and cultural activities including lectures on arts and science topics, concerts and exhibitions. The facility also includes the Birmingham Library which was established in 1779. The Cathedral of St. Paul is a regal brick building that was constructed to replace an older 30' by 60' wood frame church. The current structure was extensively renovated in 1955 with a few modern conveniences added later, including air conditioning. Today St. Paul's is a gorgeous religious landmark that contains many architectural treasures! The Royal Birmingham Society of Artists (RBSA) is a unique charity that is entirely artist-led. The goal is to support artists and encourage engagement through exhibitions, workshops, demonstrations and activities. Visitors can explore the RBSA and expand their minds and creativity. Visitors can check with the RBSA to find out what exhibits and events will be available during their stay. The "distinctive and unusual" Pen Museum houses an impressive collection of approximately 5,000 items related to the steel pen trade in Birmingham as well as the history of writing in general. See real factory equipment used to produce writing utensils, interactive machines and the Victorian school room. Learn more about writing and how it has impacted the past! Upon their retirement in 1981, the owners of the Smith and Pepper jewellery manufacturing firm chose to lock down their facility rather than selling it off. This landmark sat, unchanged for years. Now it serves as a time capsule that gives visitors a unique glimpse of the history of the jewellery industry. The Birmingham Oratory, also known as the Oratory of Saint Philip Neri, is an important landmark for the Roman Catholic community. The building's roots date back to 1848 and was the work of converts Frederick Faber and John Henry Newman. Today the oratory continues to provide services, including baptisms, weddings,funerals and confirmations. The Key Hill Cemetery opened in 1836, with the fist interment being 3 year old Mary Maullin. Many other notable names currently rest in and on the grounds, including Lord Mayer of Birmingham Joseph Chamberlain, philosopher Harriett Martineau, industrialist Joseph Tangye and creator of the Postal Order, John Skirrow Wright. The Oak House can be found in West Bromwich. This beautiful building is a half timbered yeoman farmer's home that was constructed prior to about 1630. Inside, visitor can discover a time portal that takes them back with 17th century furnishings and decor. A children's playground is available on the property. Ashton Hall on Trinity Road in Birmingham is a famous destination for families. Stop by and see what events, activities and programmes are currently being hosted at this beautiful venue. The area includes lush gardens with convenient facilities so you stay comfortable during your visit. Display rooms showcasing the landmark's history are also available. From 1766 to 1809, the gorgeous Soho House was the living space of entrepreneur and industrialist Matthew Boulton. This historic landmark has been painstakingly restored with period furnishings, decor and art. See the beautiful dining room, which was a popular meeting spot for famous Lunar Society members and explore the 18th century garden which showcases Boulton's original planting list. Anyone who loves vehicles, mechanical objects or simply getting around will love the Ashton Manor Road Transport Museum! This unique historic landmark showcases a wide range of full sized objects, including double decker buses and much more! The museum is currently undergoing improvements to its displays to provide an even better experience to its visitors. Nuneaton Museum and art Gallery is positioned in the gorgeous setting of Riversley Park, it is housed in a beautiful historic building. It is home to a permanent display of art and social history covering local fossils through to the late 19th and 20th century, consisting of more than 15,000 items, including fine and decorative art, photographs, pictures and much more. There are several items relating to Larry Grayson a well known former resident. In addition there is a gallery committed to the famous local writer George Eliot, with lots of information on her works and life. Additionally there is a frequently changing temporary exhibitions programme. It is not a large museum but there is loads here to see. They host during the year a series of events, talks, storytelling and activities aimed at the local community, and for all ages. They are open Tuesday through to Saturday from 10.30am until 4.30pm and on Sundays the opening hours are 2.00pm to 4.30pm, there is no charge for entry. There is a small cafe serving a good selection of beverages and snacks that are reasonably priced, on a nice day you can sit outside and enjoy the park setting. Staff are very friendly and helpful and will answer questions on the museum and local area. Nuneaton Museum and Art Gallery is a must if you want to learn more about George Eliot, the remainder of the museum is still interesting and there are lots of activities to entertain younger visitors. Well worth a visit if you are in the area, you will easily pass a few hours wandering around. New Hall Mill is one of only two that still survive in the Birmingham region. This privately-owned landmark is a registered charity. The mill is surrounded by the New Hall Valley country park, but it is not technically a part of the park. The building has been restored to bring it back to working condition. Some portions of the structure date as far back as the 18th century. Impressive Hagley Hall is a regal house that maintains the classic traditions and styles of the past in a way that's timelessly breathtaking. Visitors can join guided afternoon tours to learn more about the home, property and the family that have lived in and cared for it. Guides share stories of conspiracies as well as a fire that nearly devastated the house in 1925. Black Country Living Museum is a dedication to the industrial revolution and the tremendous impact that it had on Lancaster and the surrounding area. The Black Country was the initial industrial landscape anywhere in the world and first emerged in 1830. The museum is located along the vast canal network and today this out-door museum is one of the foremost museums in the country, it encompasses 26 acres and has been developed over a number of years. The result is an interactive and stimulating recreation of a village with actual residents, trams to ride and games to play, things to make and lots of stories relating to peoples lives during this time and their working lives. Among the places to view are an old style bakery, fish and chip shop, where you can try these delicious treats, and an authentic chemist, menswear shop, return to school and learn your lessons, or take a trip to the local pub where you can sample real ales that are produced locally, or go down a coal mine and witness the conditions the workers endured. There is a nice gift shop that has a collection of gifts relevant to the Black Country. Black Country Living Museum will appeal to all ages and there is something to interest everyone and is an ideal day family day out, you are assured a fun and interesting day in nostalgic settings. Fascinating Selly Manor dates as far back as the 1300s. This important historic site was originally named as the Bournbrook's manor house where the Jouette family lived. The construction featured oak beams with mortice and tension joints. The manor later divided into multiple family homes before being painstakingly dismantled and re-assembled as a museum.